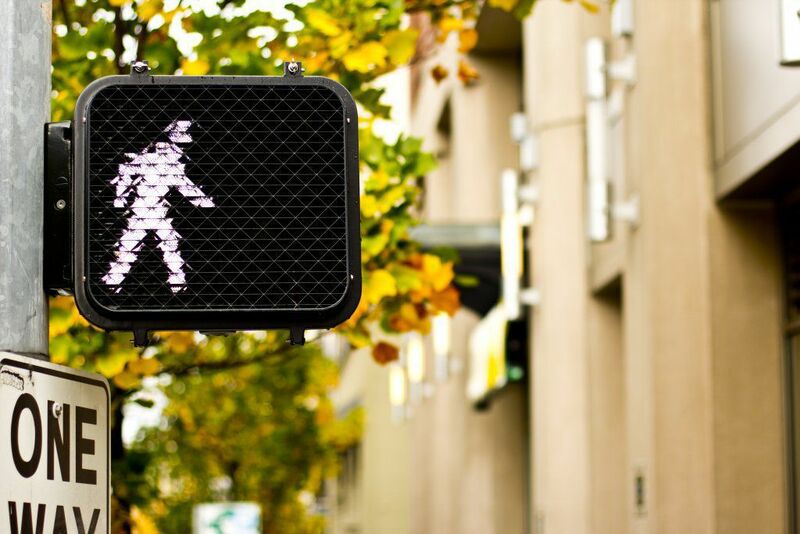 Pedestrian accidents happen so often in Seattle and Washington state as a whole, but people rarely know the legal elements that make up a pedestrian accident case. Summary: "Crosswalk" means the portion of the roadway between the intersection area and a prolongation or connection of the farthest sidewalk line or in the event there are no sidewalks then between the intersection area and a line ten feet therefrom, except as modified by a marked crosswalk. Summary: (1) Stopping for pedestrian. (2) Pedestrian sudden movements. (4) Overtaking vehicles stopped for pedestrian. (5) Yield right of way. (6) Curb ramps. Summary: When traffic control signals are not in place or not in operation at pedestrian crossings, a vehicle must yield the right of way, by slowing down or stopping, when the pedestrian in the crossing is upon the same half of the roadway as the vehicle, or when the pedestrian is approaching so closely from the opposite half of the roadway as to be in danger. Summary: Pedestrians can't irrationally and suddenly enter the rode. Summary: Every pedestrian crossing a roadway at any point other than within a marked crosswalk or within an unmarked crosswalk at an intersection shall yield the right of way to all vehicles upon the roadway. RCW 46.61.261 Sidewalks, crosswalks -- Pedestrians, bicycles. Summary: The driver of a vehicle shall yield the right of way to any pedestrian or bicycle on a sidewalk. The rider of a bicycle shall yield the right of way to a pedestrian on a sidewalk or crosswalk. Summary: The driver of a vehicle approaching a pedestrian who is carrying a cane predominantly white in color (with or without a red tip) or using a guide dog shall take all necessary precautions to avoid injury to such pedestrian. Summary: Where there are sidewalks provided, no pedestrian shall move along and upon an adjacent roadway. Where sidewalks are provided but wheelchair access is not available, disabled persons may move along and upon an adjacent roadway until they reach an access point in the sidewalk. Summary: Where sidewalks are not provided any pedestrian moving along and upon a street shall, when practicable, move only on the left side of the roadway or its shoulder facing traffic which may approach from the opposite direction and upon meeting an oncoming vehicle shall move clear of the roadway. Summary: No person upon roller skates, or riding in or by means of any coaster, skateboard, toy vehicle or similar device, shall go upon the roadway of any arterial street or transit coach route, except while crossing such street at a crosswalk; or engage in any sport, amusement or exercise or play in the roadway of any street. Summary: The City Council may by ordinance designate streets upon which pedestrians will be granted right-of-way over vehicles using that street. Summary: It is the responsibility of the owner or occupant of private property to remove snow and ice on the sidewalks abutting his or her property in a timely manner and, if practical, prevent its becoming or remaining in an icy, ridged, uneven or humped condition or in a condition which is potentially hazardous to users of the public sidewalks. (Ord. 117569 Section 121, 1995; Ord. 90047 Section 39, 1961. RCW 70.84.040 Precautions for drivers of motor vehicles approaching pedestrian who is using a white cane, dog guide, or service animal. Summary: The driver of a vehicle approaching a totally or partially blind pedestrian who is carrying a cane predominantly white in color (with or without a red tip), a totally or partially blind or hearing impaired pedestrian using a dog guide, or an otherwise physically disabled person using a service animal shall take all necessary precautions to avoid injury to such pedestrian. Any driver who fails to take such precaution shall be liable in damages for any injury caused such pedestrian. It shall be unlawful for the operator of any vehicle to drive into or upon any crosswalk while there is on such crosswalk, such pedestrian, crossing or attempting to cross the roadway, if such pedestrian is using a white cane, using a dog guide, or using a service animal. 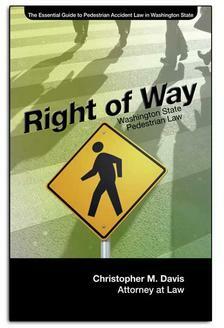 The failure of any such pedestrian so to signal shall not deprive him of the right of way accorded him by other laws.